A plan for daily works means preparing a list or schedule of jobs to be performed daily. 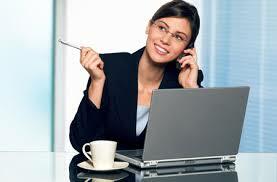 The plan or schedule helps the office assistant to perform the daily official works conveniently and effectively. While making a plan for the daily works, he has to give priority for more important and urgent works. He may take guidance from his superior for preparing an effective schedule to perform the daily works. Drafting a letter means writing it. The office assistant has to draft different types of letters and documents. He has to draft an inquiry letter, reply letter, quotation letter, order letter, complaint letter, invitation letter and greetings letter as per the direction of the superior. To achieve the objectives of drafting the letters, the office assistant should have the sound knowledge of parts and qualities of a good letter. After drafting a letter, he should type it properly. Filing is the process of collecting and preserving important letters and documents in a systematic manner for future reference. The office assistant has to file all the important letters and documents properly for their safety and quick retrieval. In order to maintain files properly, the office assistant should have the sound knowledge of different methods of filing and indexing. Handling the telephone is the process of making and receiving calls. The office assistance should handle all the telephone calls properly. As the telephone rings, the office assistant has to answer to the caller with the necessary information. He has to transfer the important calls to the boss. While handling the telephone, he should be polite, courteous and tactful. Handling the email is the process of receiving and sending letters and documents or recording entries and dispatch book. Office assistance should handle all incoming and outgoing emails, letters and documents properly. The office chief is always busy in preparing plans, making decisions, solving problems and attending meetings and seminars. He may forget important appointments and other official works. It is the duty of the office assistant to update the appointments of the chief and to remind him of important official works. A modern office manages different types of office machines and equipment to perform official activities more conveniently and efficiently. These offices machines and equipment assist the office assistant is carrying out assigned duties smoothly. Hence, the office assistant should use telephone, calculator, computer, fax and photocopier properly while performing official works. The office assistant has to prepare different types of the report on daily activities of the office. they have to prepare and submit reports regarding office income, expenses, performance, progress and problem of the office to the sectional or office chief. Such types of reports help to make appropriate decisions and controlling the activities of the organization. Certain qualifications are required to be a competent office assistant. They are an academic qualification, training, experience, knowledge of accounting and knowledge of rules and regulation. Preparing plans for daily works, drafting and typing letters, filing letters and documents, handling telephone, reminding the chief and using the machine. Any Questions on 'Functions and Duties of Office Assistant '?